The world is embracing the internet of things in every industry. The growth of IoT is expanding at a rapid pace. The focus of IoT is in managing and collecting data from connected devices to induce data and behavioral driven decisions and results. Connect every device in your home to have a completely automated experience, driven by data based on your behaviors and desires. Or smart cities that gather real-time data on traffic statistics, energy usage, or criminal activity and optimize to increase efficiencies. The possibilities are endless: from healthcare to transportation and manufacturing, IoT is here to stay and innovation within it is now the biggest task. 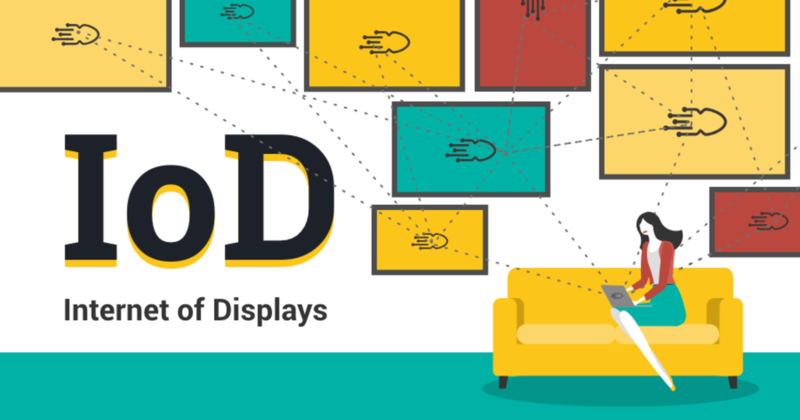 Digital signage relies on IoT and the continued growth of emerging technologies. System on chip (SoC) is one of those technologies. Early on, SoC technology was doubted by many as being a fleeting technology, but the biggest companies in the digital signage industry, among other industries, have adopted this technology. SoC is so new that the full benefits of this technology are not fully recognized. What we do know is we now have the computing capabilities of smartphones and computers at the commercial level without the use of costly, additional external hardware. "I see a ton of opportunity in the industrial internet space where connected devices and networks will take advantage of real-time analytics, feedback and so on"... "Consumer-facing IoT will have a remarkable impact on the way we live, work, and communicate — with each other and other devices." The idea that, SoC devices are one of the main mediums with which the digital signage industry will foster the growth of the IoT. These "consumer-facing devices" have the capability to communicate and integrate with multiple connected devices, hardware, and software easier than ever before. The main focus of the incorporation of the IoT in digital signage is communicating the accumulated data gathered by IoT to the target audience or operator in any vertical. Incorporating the IoD results in the interpretation of traditional IoT data, then translation of it into a benefit adding factor of digital signage. Companies that utilize SoC displays can have a network of connected devices that enable easier management and analyzation of data. Processing real-time data, at the point of contact, has benefits for every vertical market in digital signage. One main characteristic of IoT is the ability to analyze data, automate and improve processes. IoD, like IoT, provides a smarter and more efficient analysis, automation and improvement in processing. Some may say there are use cases that just require a greater processing capability or graphics intensity than SoC can provide. But in the short amount of time that SoC has been in use, the processing capabilities have improved tremendously faster than the prevalence of a competing technology. Overall, the benefits of the technology have tremendous potential. Yes, there are problem areas that are still being developed; as is the case with any new technology. But, the IoD, much like the IoT is here to stay.